Many people in the eastern U.S. are familiar with bittersweet vine, particularly the non-native, invasive Oriental Bittersweet (there is a native American Bittersweet vine also). But few have seen the wood of a large, mature vine turned on a lathe into a weed pot*. This vase was turned from a 5" diameter vine that had climbed and reached the crown of a tall tree and was slowly killing its host. 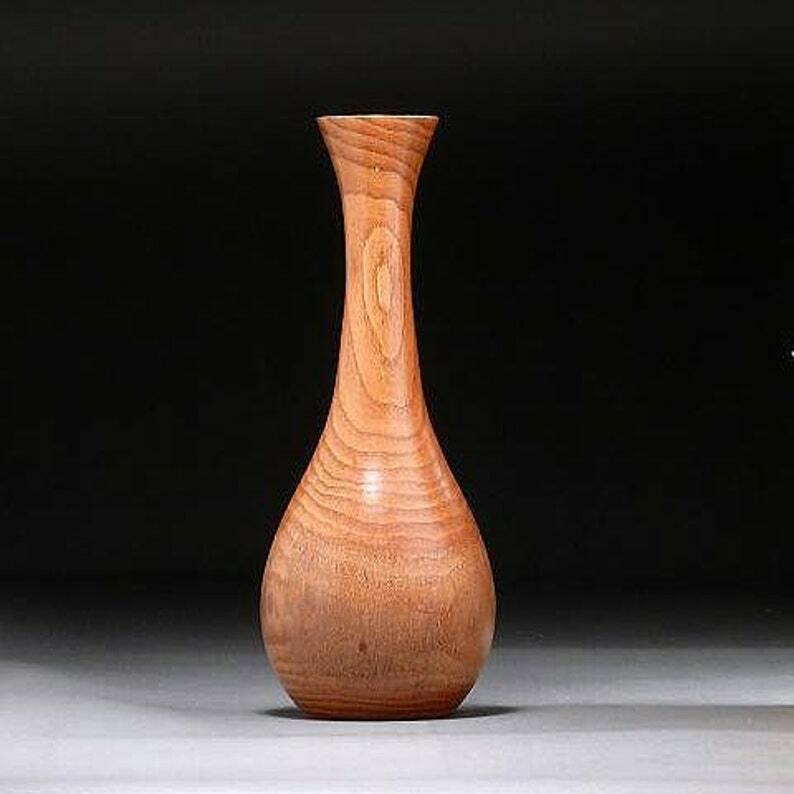 I have shown vases of bittersweet to many people, and so far no one has been able to identify the wood as being a vine. It makes a very attractive vase, and has been well received by customers. This particular weed pot measures 10-1/2 inches tall, and 3-3/4 inches in diameter. After fine sanding, a finish of tung oil varnish was applied, which was then buffed with hard wax to a lustrous satin sheen. Item # BSW97, Oriental Bittersweet Vine Wooden Vase.